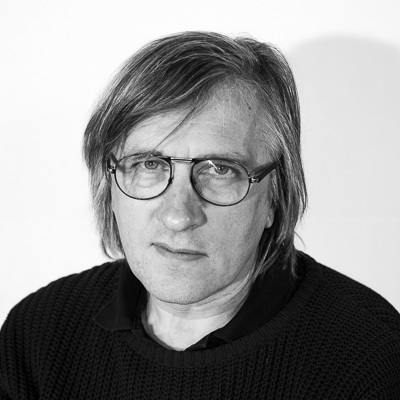 During the past six years, Dmitry Krymov, a Russian stage designer and painter born in 1954, has directed – in close collaboration with a group of design students from the Russian Academy of Theatre Arts (better known in Russia as the State Institute of Theatre Arts or GITIS) – seven productions in Moscow. These projects have established him as one of the most original directorial voices of this new century. In the process, he and his 12 students have garnered an impressive array of awards, including two Russian national prizes, the Golden Mask and Crystal Turandot, and the Golden Triga, the most coveted prize at the Prague Quadrennial for world scenography. They have built a loyal public that flocks to every production, and they've been invited to perform in England, Finland, Estonia, Hungary and the U.S. The essence of Krymov's designer-centered theatre, in which he incorporated his own students as artistic accomplices, sprang directly from his teaching. And while his first dozen students have now taken their leave of the academy, Krymov has not shown any sign of slowing down. In the Russian theatre, the fall of communism amounted to a Copernican revolution. With the foundation of the Russian world left in doubt, change became a matter of necessity for both practical and idealistic reasons – for artists like Krymov, it was a matter of survival. To reinvent itself without demolishing its enduring significance, the Russian theatre needed to diversify and experiment – and to open its doors to a larger world. Krymov reinvented himself twice. The son of Anatoly Efros, the preeminent Russian director of the second half of the 20th century, and Natalya Krymova, a formidable theatre critic, historian and theorist, Krymov started his career in 1976 as a set designer. He designed more than 100 productions throughout the former Soviet Union and abroad. A close collaborator with his father, Krymov also forged serious artistic partnerships with many of the best directors of his generation. Disenchanted with his work as a designer, dissatisfied by the tired realities of Russian theatre, Krymov stopped thinking of himself as a designer in the mid-'80s and found refuge in the isolation of his studio. Beginning in 1990 he became a successful portrait artist, with commissions coming from all over Russia and abroad. His paintings, along with his whimsical and highly imaginative installations, reveal an artist preoccupied with purging the unnecessary, sharpening his discourse, simplifying his dialogue with the world. Several monographs published about his work have placed him at the center of the new Russian art scene. In 2002, 15 years after his father's death, Krymov shape-shifted again: He made his directorial debut with a stripped-down Hamlet at the Stanislavsky Theatre in Moscow. Finding himself in a theatrical environment radically different from the one he had left behind years before, and profoundly changed by several years of artistic solitude, Krymov brought to Hamlet the new simplicity and lyrical transparency he had acquired as a visual artist. Critics remarked on his startling rejection of the traditional design idiom. Instead of the prevailing decorative approach, Krymov had eliminated everything he deemed superfluous. With the exception of two doors roughly cut out from the back wall, the stage for his Hamlet was, essentially, empty. In the fall of that same year, 2002, Krymov started teaching set design at GITIS. Among Moscow's many professional schools, GITIS is indisputably the most important. Founded in 1878 by a group of wealthy enthusiasts called the Society of Lovers of Music and Drama, GITIS sought to bringunder one roof instructions in drama, opera and choreography. Today GITIS is divided into a gamut of departments, including such specialized fields as circus directing and variety theatre. Education is, however, as comprehensive as possible: Students take classes in art history and philosophy; they study languages, literature, music history and theory. In other words, GITIS trains artists with a view toward integrating them into a society that considers art to be both a spiritual and practical necessity. Set design is a relatively late addition to GITIS. The scenographer Sergey Barkhin established the department in 1992. Barkhin, who made his mark in the 1970s and '80s, hired Krymov and was initially open and generous about his persistent use of students in productions that fully employed them around the clock. Unlike American academic programs in scenic design, which usually have a duration of three years, Krymov's lasts five years. But what truly sets his method apart is his controversial argument that it is not the teacher's job to teach students design skills. His job, Krymov argues, is to make them artists–to invest them with the responsibility of being on stage. Krymov's theatre asks: What if, in a designer's theatre, the design could make or create itself during the production? What if the design moved forward in the same way a character progresses down the inexorable path traced by the writer or is re-formed in rehearsals? How could one teach design if there were no separation between designers and actors on stage or in performance, where theatre really matters? And if the objects made on stage were to perform emotions – if the objects were to become actors – what would be the guiding inner model (or, in Vsevolod Meyerhold's formulation, obraz, meaning "image") that might capture the characteristic or the universal feature of daily life? I visited Krymov's GITIS class in April '03, seven months after he started teaching design. For their final exam, his first-year students mounted a wordless production of Buratino in their studio. (Buratino is the main character of the 1936 Pinocchio retelling The Golden Key, by Aleksey Tolstoy.) There was no stage: The usual studio clutter was pushed aside to make way for a small playing area. The story was told with objects that transformed themselves constantly into other objects. From time to time, drawings were made with black gouache on cardboard, very fast, as if drawing on water. Nothing remained fixed. Buratino was an act of pure theatre. This story of a piece of wood with a soul reaching toward life was an apt metaphor for the adventure that was about to follow. Invited by the great director Anatoly Vasiliev to open a studio in his theatre at Povarskaya 20 in Moscow, Krymov mounted a succession of productions that continued on the same artistic wavelength, legitimized this time by a major stage. In 2003 he staged Nedozkasky (Not a Fairy Tale), based on a collection of Russian fairy tales; in 2004, Three Sisters, his own version of King Lear; in 2005, Donkey Hot, a fanciful retelling of Don Quixote; also in 2005, The Auction, based on Chekhov's plays; in 2006, The Demon: The View from Above, inspired by Mikhail Lermontov's poem; and in 2007, Cow, based on the Platonov story that appears in every Russian elementary schoolbook. (I played a woodcutter's saw in Not a Fairy Tale and the Fool in Three Sisters.) Many of these productions were designed by Krymov's students, who were as young as 16. In some, there were no actors on stage – just design students working with objects. 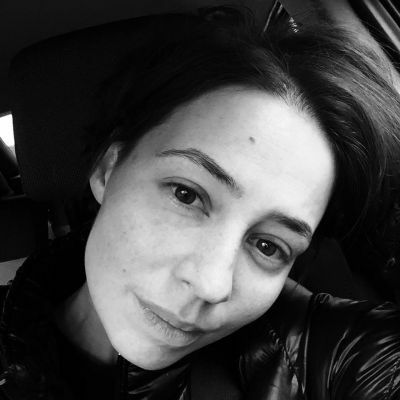 Eventually two of Krymov's most talented students, Vera Martynova and Maria Tregubova, emerged as major artists in their own right, designing his The Auction and Cow. After graduating in February '08, both Martynova and Tregubova embarked on Krymov's most ambitious and original production, Opus No. 7, which opened this past October. This extraordinary work was the culmination of Krymov's directorial identity. It also proved his unusual efforts at GITIS had paid off. Krymov’s territory, like Tadeusz Kantor's dramas, is that which cannot be contained in words. Opus No. 7, like Kantor's performance composition The Dead Class, tells a story only theatre can tell: It writes history in the continuous present of the stage. The first part of Opus No. 7, "Genealogy," designed by Martynova with a text written by the poet Lev Rubinshtein and music composed by Alexander Bakshi, is a stern depiction of the extermination of Eastern European Jews. The second part, "Shostakovich," designed by Tregubova, is a story of artistic survival and redemption. Grotesque, whimsical and tragic, Opus No. 7 ransacks the great composer's life and work and finds its soul in one musical phrase, repeated over and over. Opus No. 7 also showcases the astonishing ability of Krymov's two young designers. For "Genealogy" the extraordinary space of the theatre that belonged to Vasiliev's school is used in its complete, vast length. Spectators are seated on three elegant rows of bent wood chairs of various heights, facing a long white wall. The actors throw buckets of black ink at the wall – the ink drips down, creating silhouettes. They draw vertical lines over the place where the ink hits the wall, and they insert short pieces of curling rope under the line. The silhouettes become Jews – ghetto Jews springing from photographer Roman Vishniac's lost world, hunched, impoverished, troubled and afraid. The painted image changes again – it now contains photographs of actual human beings, miraculously fitting the contours of dripping ink. The image transforms yet again: There is not one person – there are now many, and they replace each other, filling up entire villages and becoming multitudes. We hear whispers, rustlings and cracklings. Rubinshtein's text and fragments from Genesis are interspersed with names, letters home, bits and pieces of the vanished, of the disappeared. The actors cut with knives the cardboard of the wall facing us – violent light clouts our eyes through the cuts – and we hear the infernal sound of a furnace or of an enormous oven, we hear and feel the violence of fire through the contours of the bodies, we stare at the fire, and all of sudden, blown by industrial-sized fans, pieces of paper and smoke, tons of paper, eerily resembling ashes, pour over us for what feels like an eternity. During intermission, the space is reconfigured in its entirety for part two, designed by Tregubova. The ashes are cleaned away; we are now in a jeu de paume configuration. On one side, a massive red velvet curtain hangs in grand opera-style. Shostakovich as a little boy is played by Anna Sinyakina wearing an oversized brown suit and round, Le Corbusier-like glasses. A puppet, 17 feet tall, enters the space. She is a kind old woman; there is something reassuring and familiar about her (is she Mother Russia?). At first, she nurses little Shostakovich and protects him. But wait, she is not kind at all. She turns against the boy – she wants to murder him. But Shostakovich survives. She gives him a medal, and when she pins it to his chest, the pin exits through the composer's back, turning him into a barely articulate marionette. The red curtain opens, and grand pianos made of metal roll onto the stage, starting a murderous waltz – they bang into each other in an infernal cacophony, accompanied by Shostakovich's compromised music written in the Soviet canon. And yet, what finally survives is the song Shostakovich wrote for a Jewish friend, the Allegretto part of his Trio No. 2 in E minor for Piano, Violin and Cello, Op. 67. The cello sounds, plaintive and brutal at once, contain what seems to be a theme that unites all of Krymov's productions: Each work has to bring to the fore the totality of human experience. We are all Don Quixote, all King Lear, all Shostakovich. We are not outside the work, we are inside it, we are the work making itself right now, in front of our eyes. Krymov's theatre has evolved in tandem with the professional, artistic and intellectual growth of his students. Upon graduation, Martynova was hired by Vasiliev's School of Dramatic Art. Tregubova briefly became the resident designer of another important Moscow theatre and is now Krymov's main designer. Unfortunately, Krymov and Barkhin have clashed over the issue of what student designers are supposed to learn in a state institution (and how) – an argument serious enough to require separation. For many years, I shared Barkhin's concerns. I thought that students need to be given skills that enable them to compete in a world increasingly without borders. I thought that Krymov, driven by personal demons or by the ambition to reinvent himself as a stage director, was exploiting, to a certain degree, his students' youth, natural grace and innocence. I told him many times about my fear that his singleminded obsession with productions would harm his students' ability to learn the basics of the profession. Indeed, his radical methods did not work for the entire class; out of his first 12 students only six graduated. But in the end, Krymov was right. Theatre should be taught only on the stage, under the pitiless scrutiny of a paying public, without the soft justification that protects institutions and educators and isolates the young. Krymov's training is an apprenticeship and more – it is the civic courage of pushing your students, the best of them, out into the world. Rather than remaining in Barkhin's scenic design department, Krymov's class has lately been absorbed into the GITIS directing department, where the designers and directors train together, take the same classes and work collectively on the same projects. This past October I visited their Povarskaya studio, which occupies the former Vasiliev theatre archive and library. Around a large table, an exact copy of the table built by Igor Popov for Vasiliev's groundbreaking 1985 Taganka Theatre production of Cerceau, a group of 17-year-old students was drinking tea and talking about Greek tragedy with Krymov. The discussion ran long into the night. director of the theatre program at Colgate University, has directed 200-plus professional and academic productions and has taught acting and directing in Romania, Israel, Italy, Russia and the U.S.